Peritonsillar abscess (PTA), or quinsy, is a bacterial infection that causes pus to collect next to the tonsils and the pharynx towards the back of the throat. It usually occurs only next to one of your tonsils and usually progresses from cellulitis to an abscess. In general, peritonsillar abscesses take about 2 to 8 days to form and are normally caused by Staphylococcus aureus (staph infection), Haemophilus influenzae (pneumonia and meningitis) and Group A hemolytic streptococci (GAS; common for strep throat or pharyngitis) bacteria. The peritonsillar abscess is typically sandwiched between the palatine tonsil and the superior constrictor muscle (which is used in the process of swallowing food) in the back of the throat. There are three "compartments" that the abscess, or pus, typically locates in. The topmost area, called superior, is where the majority of cases of peritonsillar abscess occur; resulting in about 41-70 percent of the incidents. The rest occur in either the middle or lower section between the tonsil and the muscle. Peritonsillar abscesses are a common cause to seek the help of an otolaryngologist (doctor specializing in disorders of the ears, nose, and throat) emergently. You have about a 30 in 100,000 chance of getting PTA and this can be higher due to antibiotic-resistant strains of bacteria. You are also likely to have an increased risk of developing peritonsillar abscesses if you abuse alcohol or illegal drugs like cocaine. These drugs along with stereotypical other habits that may accompany the use of illegal drugs likely will decrease your health and weaken your immune system making you more susceptible to peritonsillar abscesses. If you are involved in any of these substances, seek help immediately. Tests will be performed to help identify whether or not you really have a peritonsillar abscess. Your health history is a very important part of determining whether or not you likely have a peritonsillar abscess, but your doctor will also perform some additional tests to make a stronger determination. Common tests that may be performed include a visual exam of your throat, CT scan, and/or ultrasound. An ultrasound of your throat is becoming more popular as ultrasound devices are becoming more readily available. Ultrasound also has the added benefit of not requiring radiation. However, not all hospitals or clinics will have the right ultrasound attachments to do a sufficient exam. In this case, the CT scan is the next best choice. Other tests that are likely to be performed include mono spot test, blood count, cultures of throat and pus. These tests will be performed to help determine whether or not you have another problem that should be considered. Cultures will also help determine the best ongoing treatment for you. 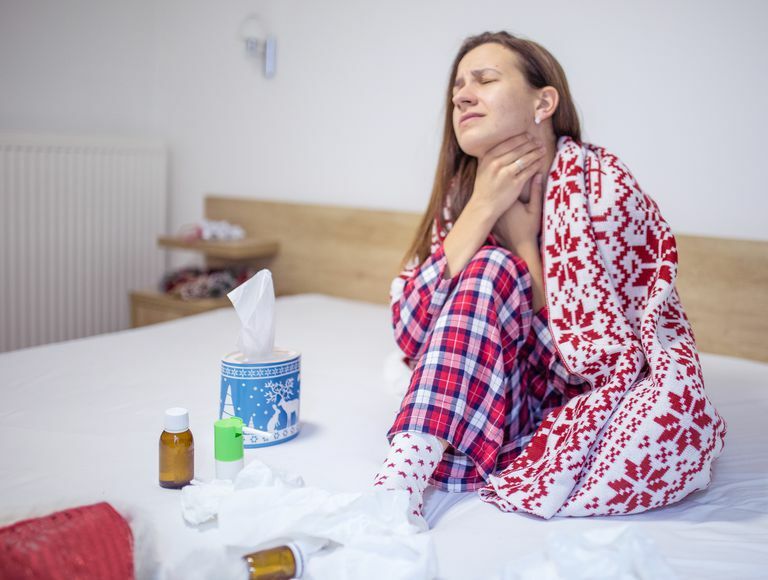 A tonsillectomy is rarely needed to be done and the pus is simply removed and antibiotics continued for 10 to 14 days started to treat your infection.